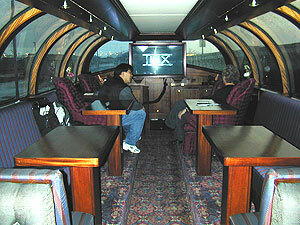 The dome of this luxury private railcar is equipped with a 42" plasma resting on custom mounts. 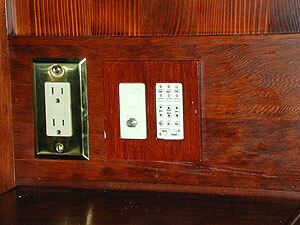 When not needed, the plasma disappears into the cabinet below. 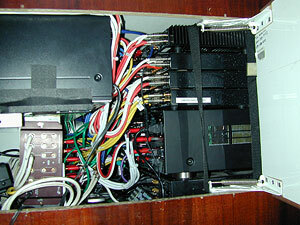 The entire system can be controlled from a touch screen. Since this was a reengineering project, the system was completely reprogrammed achieving all the clients goals. 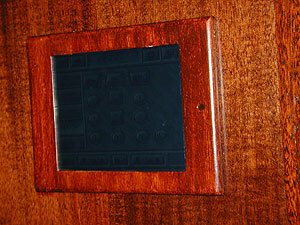 Each stateroom has its own distributed audio and video zone, each with an easy to use keypad. Normal racking was impossible, and it took some creativity to integrate all the necessary components in such restricted space and with intermittent power and poor ventilation. During the reengineering, the system received new surround sound processing and amplification, XM radio and other upgrades.